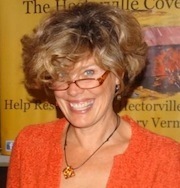 Wendy Call, writer, editor, translator and teacher. Author of No Word for Welcome: The Mexican Village Faces the Global Economy. This week's Write the Book Prompt was suggested by my guest, Wendy Call. It's a two-step writing exercise. First, think about a place that you really love. Describe this delicious place (using as few adjectives and adverbs as possible) to someone who's never been anywhere like it. Include how it looks, how it sounds, how it smells, as well as the quality of the air and light. Next, imagine that this place has, somehow, been destroyed. Now, rewrite your description, with that terrible knowledge.